The bread and butter fish of the Canadian wilderness, this species must have been created to please the stomachs of hungry anglers. There is no fish so well suited for the frying pan, nor so plentiful in the lake. From the season opener in May to when the water turns over in October, the prized Walleye is usually willing to bite a jig tipped with a crawler or a leech or a live leech suspended below a slip bobber. Slow trolling crawler harnesses is a sure-fire technique throughout the season. For those who prefer artificial baits, minnow imitating lures like Rapalas work well earlier in the season, then deeper diving crankbaits like the Hot n’ Tot produce well into September. 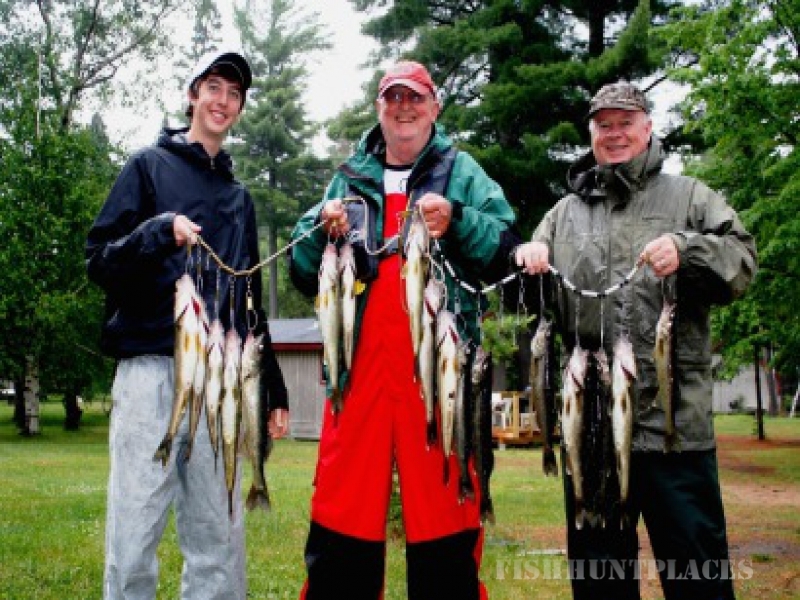 While our guests have released Walleye in the 30″ range, the average fish is 14″-18″. 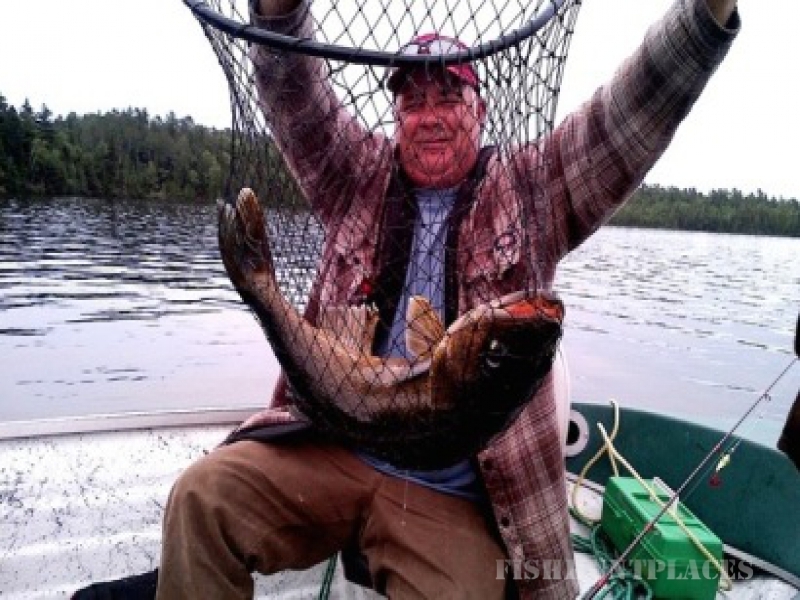 Lake Kipawa’s claim to fame is its outstanding Lake Trout fishery. These cold water char are ferocious feeders who follow the lake’s abundant herring schools. In May and early June they are fished by flatlining trolling spoons or body baits, casting or jigging points and shoals. As the surface water warms, the trout move deeper and for most of the season they are below 25ft. Downriggers, wire or lead core line is the way to get spoons down to them in the summer. 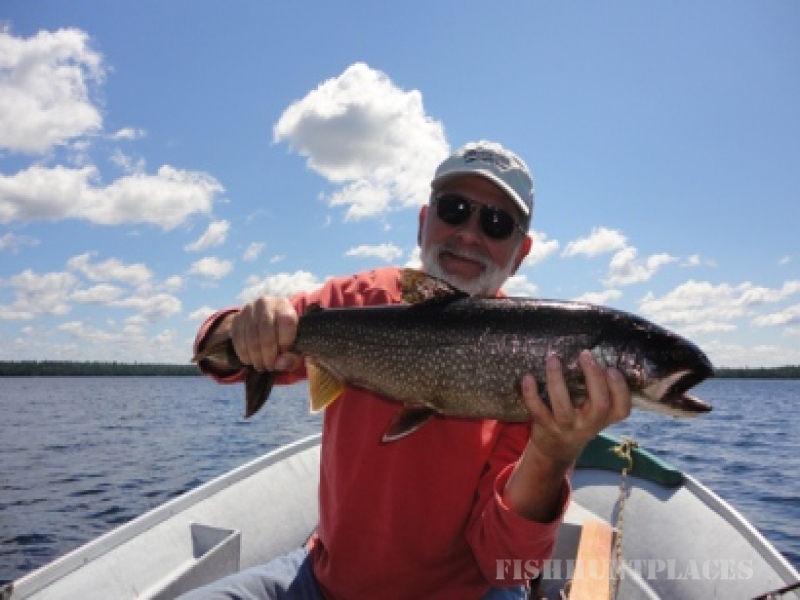 The water around Two Moon Lodge is some of the best Trout habitat on Kipawa, and catching and releasing 5 or 6 an hour is common. These monsters are the prize of the serious anglers who spend their day casting spinner baits, spoons or body baits into the weed beds and back bays. 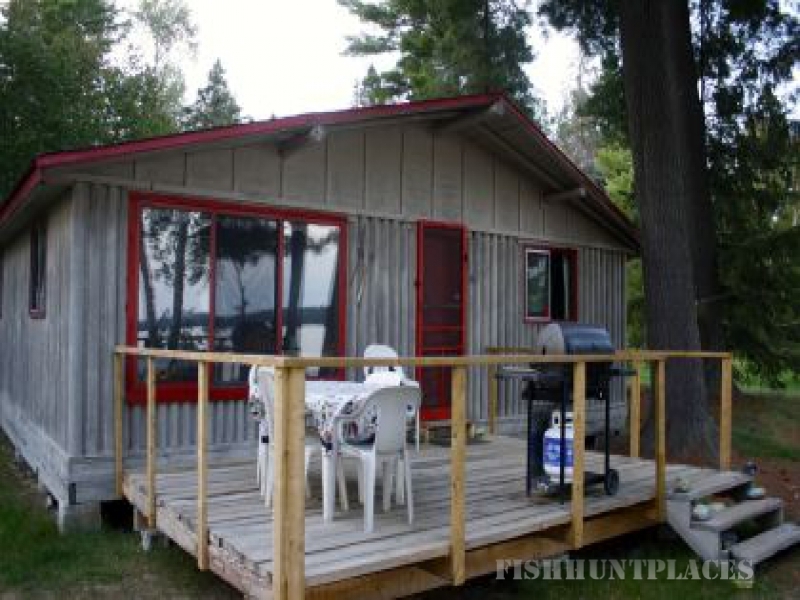 Two Moon Lodge is blessed with superb pike waters in nearby Wolf Bay, Ace Bay and the islands in Loon Bay. In mid summer, Pike are targeted off mid-lake shoals, islands and points. There is a 6 fish limit on Northern Pike, with no size restrictions. 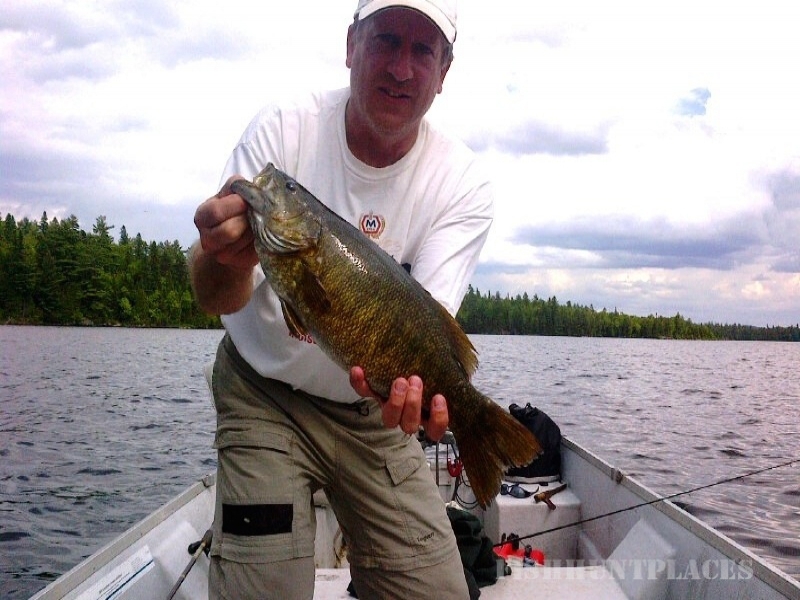 The average Northerns run in the 24″ range, with the big fish each year being a 42-45″” lunker, usually live-released to be caught again next year. These fiesty fighters seem only to have recently inhabited the waters of Kipawa’s North Arm. Since they are active feeders during the day, they make for an exciting addition to the evening walleye bite. Anglers who target the bass do very well catching 18 and 20 inch lunkers. They will readily hit Mepps spinners tipped with a minnow, jigs or crank baits. Shallow rock shoals and points or sandy drop offs produce best. 6 fish limit, and no size limit. It is a pretty incredible smallmouth fishery, without any signs of it having negatively affected the walleye population.